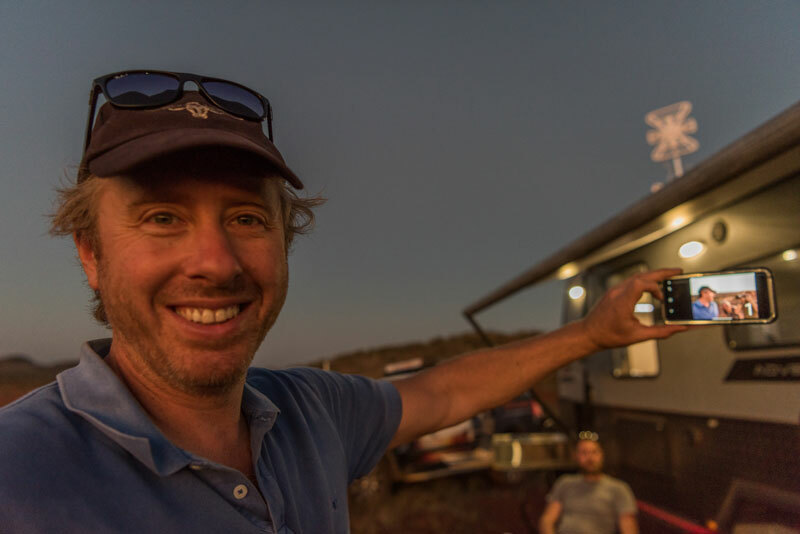 The beauty of free camping is getting off the beaten track and staying there as long as possible. Here are some tips to help you save power and camp longer. There’s lots of things you can do to improve or maintain the life of your batteries, both those in the caravan or camper and your tow tug. But the easiest and, arguably, most important thing is to keep them clean, particularly the terminals and holding brackets. Dirty terminals can chew through power unnecessarily and shorten battery life so they should be carefully cleaned with a wire brush. Batteries are heavy and bumping down rough roads can loosen their holding brackets so check them all regularly to keep straps or bolts tight. The amount of power output by your solar panels, whether they’re portable or fixed, is hugely dependent on their direction and position. The intensity of the reflected light on the panel’s glass (which covers the cells) is influenced by the angle, and this can alter electrical current flow. Ideally, you want direct sunlight hitting your panels at 90° to maximise the amount of energy being produced. Roof-mounted panels may achieve this for a short period, in the middle of the day, in summer but it’s not achievable otherwise, so orienting your panels at a 45° angle and facing north is the next best option for overall performance. Correctly wiring up your solar system is critical to prevent loss of energy and overheating (damage or fire), so correct wire sizes are required. A 24V system can cope with thinner wire but a 12V system needs at least 6mm wires between the panels and regulator, and from the regulator to the batteries. Keep the wire as short as possible and ensure all joins are soldered rather than crimped. 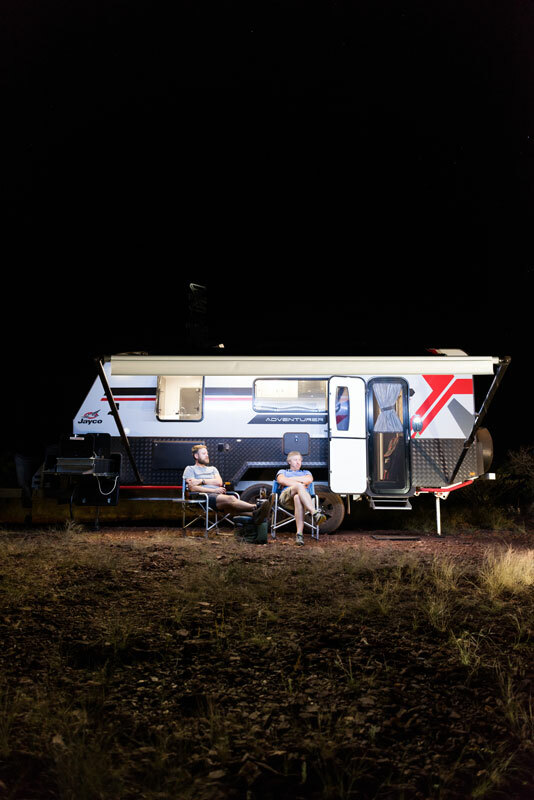 If you have an older camper trailer, motorhome or caravan, switching your internal and external lights to LED is a great way to reduce the current draw on your house battery when you’re off the grid. You can buy LED fittings to replace older incandescent globes and, in some cases, halogen fittings. But if that doesn’t work, it’d still be worth changing the entire light fitting. It’s not too difficult. And, when it comes to LED lighting, make sure they’re well positioned. In most cases, one good light can do the work of two poorly positioned ones. Water pumps can place a high load on your power supply – not to mention help you blow through your water reserves too fast – so consider ditching the electric water pump and opt for a hand or foot pump at your sink instead. Other water-saving tips to consider are: eco-showerheads, low-flow taps, reduced showers, wiping out dishes, pots and pans with a cloth before washing, redirect grey water to your toilet, and collecting rainwater off your awning. Did you know your fridge uses less power when it’s full? Less free space means there’s less air to be cooled, so keep it stocked up when you can. However, you’ll still to make sure there’s small gaps between items to allow the cool air to circulate and chill them appropriately. Regularly checking and replacing (if needed) your fridge’s seals is another way to ensure it’s operating at peak efficiency. If your fridge or freezer doors do not seal properly, cool air leaks out and more energy is required to keep the contents of your fridge or freezer at the correct temperature. Loose or broken seals can amount to a lot of wasted energy and, therefore, a lot of wasted money. As we all know, constantly opening the fridge door is the best way to let cool air out and force your fridge’s cooling mechanism to work harder that it should have to, so keep the door closed as much as possible. Finally, check the recommended operating temperature for your fridge (3°C – 5°C is a common range) and freezer range (usually between minus 15°C – minus 18°C) and ensure you’re within that range. If your fridge or freezer is not set at the recommended temperature you will find that you’re wasting a lot of money running it inefficiently. When it comes to staying off the grid for longer, not all campsites are created equal. 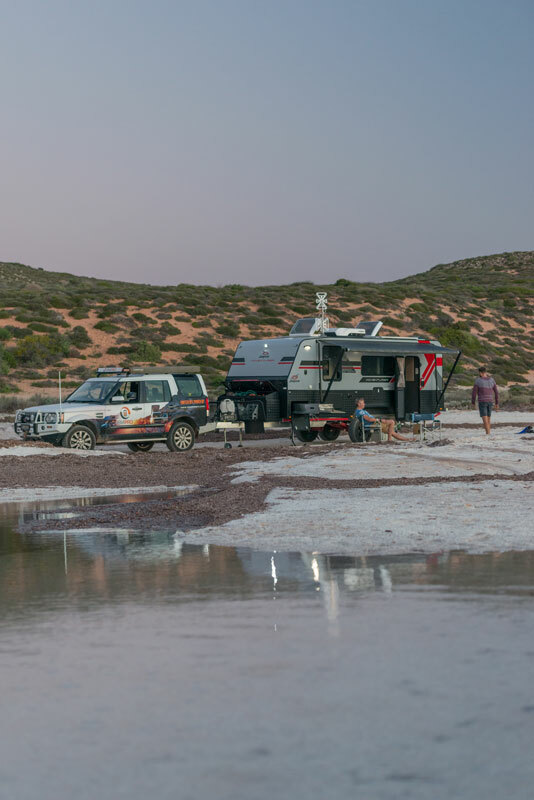 A campsite with plenty of shade and a cool breeze during the warmer months will cut your water consumption and cooling requirements right down. No need for a 12V fan or air-con when the sea breeze is blowing in in your door!